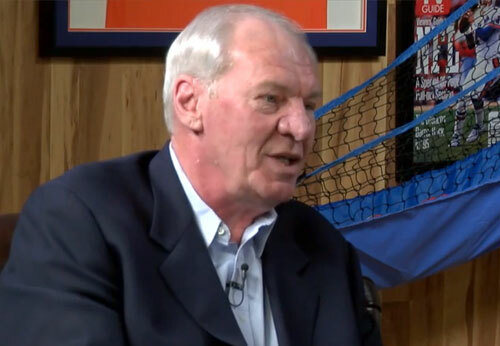 Dan Issel is a retired professional basketball center and power forward who played for the ABA and NBA from 1970-1985. Issel played for the Kentucky Colonels from 1970–1975 and the Denver Nuggets from 1975–1985. Issel is a six-time ABA All-Star for 1971–1976 plus he is ABA All-Star Game MVP for 1972 as well as NBA All-Star for 1977. His jersey number 44 was retired by the Denver Nuggets. Issel was inducted into the Basketball Hall of Fame in 1993 plus he was inducted into the College Basketball Hall of Fame in 2006. Sports Speakers 360 is a booking agent for pro athletes. If you would like to book Dan Issel for a speaking engagement, appearance or endorsement, contact a Dan Issel booking agent for fees at 1.855.303.5450.